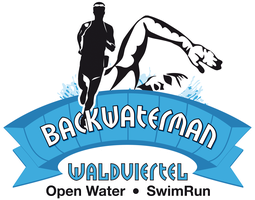 Open Water - backwatermans Webseite! "The special One" - the classic 7 km from Mitterreith to Ottenstein are a special experience. Arrival by ship or boat. 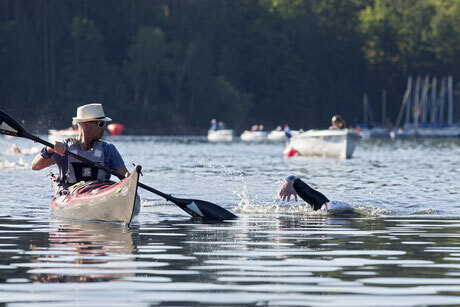 Pure nature in the fjord-like waterways of the Ottensteiner reservoir with many bends and turns, waiting for the swimmers. Orientation is part of mysticism. Simply unique to swim here. 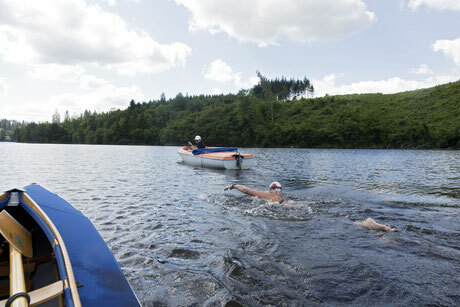 In the fjord-like arena between dam, ruin and castle, you can expect 1 or 2 laps of Open Water experience. From the terrace of the restaurant, the course is completely visible - ideal for beginners or short-distance specialists.